Gratitude is a word that is too often reserved for this time of year when we start to reflect on our progress, but today’s guest is working hard to make gratitude a part of our daily lives. Kevin Clayson is not only a close friend but he is also a proud husband and father, an author, a real estate investor, a personal development coach, and chief officer of awesome (really!). 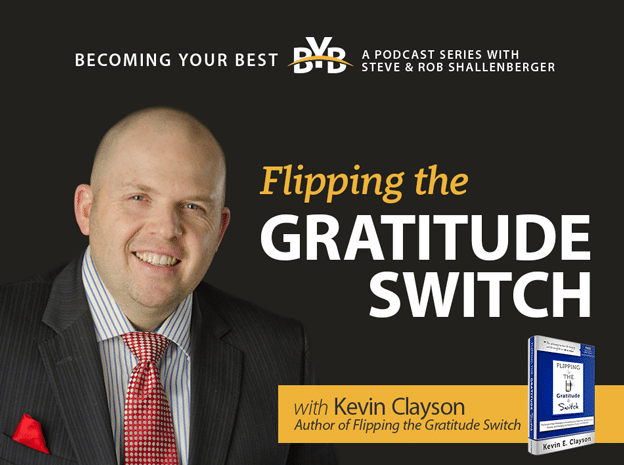 With his brand new book, Flipping the Gratitude Switch, he has started a “gratifuel” movement that is quickly spreading across the nation.